65 ACRE HORSE RANCH / MINI-FARM AVAILABLE NOW! 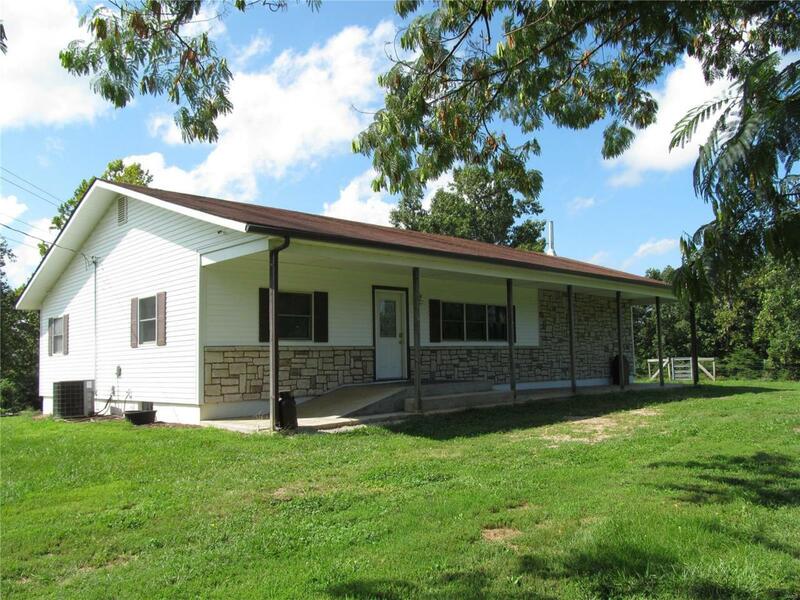 3 Bedroom/2 Bath Home with Two Barns and 65 acres for your use and enjoyment. Home features solid wood doors, hardwood floors, large bedrooms, unfinished walk-out basement, and dual heat sources for efficiency. 36'x38' Barn has five horse stalls and storage/tack area, water and electric is available (electric turned off and pole removed - but all lines still in place). Each stall has interior and exterior doors. 60'x120 Riding Arena has 60'x20' lean-to off side for hay and equipment storage. Property features horse paddock and approximately 20 acres of pasture (the balance is wooded), a raised garden, pecan trees, peaches, blackberries, raspberries, grapes and strawberries. SCHEDULE YOUR APPOINTMENT TO SEE THIS HOME TODAY! Listing provided courtesy of Johanning Real Estate Llc. Listing information © 2019 Mid America Regional Information Systems, Inc.